The truths of every religion originate from the awareness of the mystics who were the avatars upon whom the religions were founded. These were uniformly, God-realized spiritual geniuses who were able to share their experience, information, and knowledge for the benefit of mankind. Perhaps this experience is available to all in the form of Enlightenment. But how to reach this point? Is there a definitive path? Do any religions talk of this path? 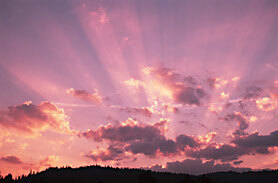 Several religions describe this experience of God as Enlightenment. Others describe Enlightenment as the "death of the ego." Hinduism and some sects of Buddhism, and others, share an idea that the moment of enlightenment does come when a soul had progressed through the "lesson plan," and has reached a state of ripeness where God's grace can be bestowed. They believe that this experience is not something that you acquire, as if you were missing it before, but more like a realization that it was present all along. Much like realizing that the sun was always shining behind the clouds. Life's illusion is lifted, and clarity and understanding replaces it. Remove the obstructions, and all is revealed. Now these beliefs say it may take many life times to reach this point of readiness but it is something that can be experienced and it is something that every human has the potential for. Perhaps there are even many people on the earth now who have had this experience. Perhaps many of these spiritual geniuses already walk among us. See the video at the bottom of the page to hear one such enlightened soul. At any rate this alternative path to God does exist according to Hinduism, and others. Of course in scientific terms this experience is not provable. All we have are the accounts by people who have been through the experience. And in many cases these mystics aren't talking. What is there to say when the experience cannot be described in words. The radical subjectivity of the experience defies words or our own understanding. What Do Enlightened Souls Say About The Experience? Many enlightened souls are said to have "lost interest in the world." They no longer seem to care about earthly things like feeding themselves. Often their close followers efforts are what keeps them alive. And certainly many show little interest or ability to teach their experience. Perhaps it takes a very special genius to be able to share enlightenment with others. So the description of the experience is often not shared and certainly not written about. Even Jesus and Buddha wrote nothing of their experiences. Their disciples took it upon themselves to describe what they heard the avatar say. So, at best, the information is second hand. "As the final moment (of death) approached a thought flashed through my mind. "What if there is a God?" So I called out in prayer, "If there is a God, I ask him to help me now," and surrendered to whatever God there might be and went into oblivion. When consciousness returned, a transformation of such enormity had taken place that there was only silence and awe. The 'person' that had been no longer existed. There was no personal 'I' or self or ego, only an infinite Presence of unlimited power that had replaced what had been 'me'. The body and its actions were controlled solely by the Infinite Will of the Presence. The world was illuminated by the clarity of an Infinite Oneness. All things revealed their infinite beauty and perfection as the expression of Divinity. As life went on, this stillness persisted. There was no personal will; the physical body functioned solely under the direction of the infinitely powerful but exquisitely gentle Will of the Presence. In that state there was no need to think about anything. All truth was self-evident and no conceptualization was necessary or even possible. At the same time, the physical nervous system felt extremely overtaxed as though it was carrying far more energy than its circuits had been designed for. It was not possible to function effectively in the world. All ordinary motivations had disappeared, along with all fear and anxiety. There was nothing to seek as all was perfect. Fame, success, and money were meaningless. Friends urged the pragmatic return to clinical practice, but there was no motivation to do so." Dr. Hawkins goes on to describe this experience as the "death of the ego" which he says is the only real death that anyone can actually experience. "During the experience of awareness, the thought-processing mind is empty, body awareness is lost, there is no feeling, all reality disappears. There is nothing in the imagination, there is nothing anywhere. It is an experience of nothing, of the void. The key understanding that results from this experience of pure nothing is that one is still alive even when everything is gone. 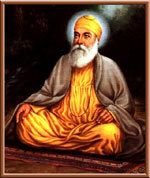 One realizes that one's existence does not depend on anything except awareness itself. One realizes that awareness is the primal reality, the permanent core of ourselves. The enlightenment experience makes many things immediately clear. It is clear that all there is is awareness. This brings complete relief and liberation. It is clear that life is awareness, and not what awareness experiences. So the body, the mind, the physical universe as well as dream universes, feelings, knowledge, are all non-essential to being alive. Fear and guilt vanish because awareness is beyond harm and experience is not part of one's being. It is clear that all experience comes from outside of oneself, that experience merely flows through awareness, and that one is not responsible for the helpless act of experiencing one's experience. In short, this state of freedom solves every problem by eliminating it, and provides a completely unburdened peace. This is so attractive, so magnetic, that it cannot be actually forgotten, only displaced by the usual contents and concerns of life." Words cannot adequately describe the experience. So, you could say that to these folks God, awareness, and life are one. Here's a video by Eckhart Tolle on the subject of Enlightenment. Now, before you risk suffering intellectual brain damage in the search for enlightenment, you must have a true fix on God, and the existence of God, ....and that is the purpose of our SPECIAL REPORT, The Case For The Existence Of God, Without A Bible or Any Holy Book. For the truth about God is known instinctively. God has put this knowledge in their hearts. From the time the world was created, people have seen the earth and shy and all that God made. They can clearly see his invisible qualities -- His eternal power and divine nature. So, they have no excuse whatsoever for not knowing God. 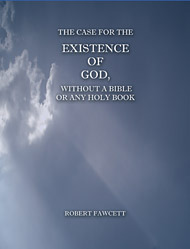 Now, before you risk suffering intellectual brain damage in the search for enlightenment, you must have a true fix on God, the existence of God, ....and that is the purpose of our Special Report, The Case For The Existence Of God, Without A Bible Or Any Holy Book.